While flipping through a circa 1980 magazine, I found this old Tiffany ad. 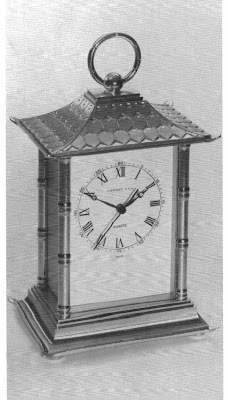 I wonder if they still produce this clock? If not, they really should. 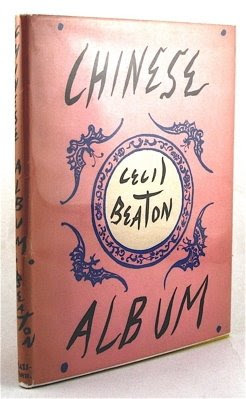 I'm considering buying a copy of Cecil Beaton's Chinese Album, mainly for the dust jacket. And because what I just wrote makes me feel guilty, I will end up reading the book too. And, I was checking out Charlotte Moss' "Virginia" AirEssence Diffuser. Why? 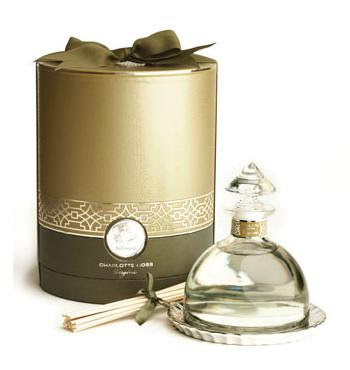 Because her "Virginia" fragrance smells divine; I love the decanter with the Chinoiserie pagoda stopper on it; and, I think I'm the only person in the world who has not yet tried one of these stick diffuser systems! Image at top: Dancing Figure Holding a Mask, part of a series designed by Jean-Baptiste Pillement, c. 1759. Image courtesy of The Getty. Labels: chinoiserie, linens, Tiffany and Co.
Love your towels, WOW! So dramatic! Don't try the stick diffusers -stick with candles! They get sticky and attract dust like crazy - really disgusting! Thanks Stefan! And thanks for the advice on the diffuser too. I LOVE her Virginia candles. That is what I have been using. I also have a Chinoiserie problem - and I love the variety of selection here! 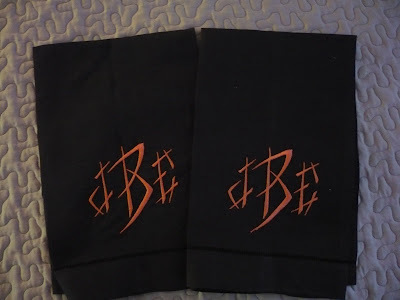 Especially the hand towels (orange embroidery just makes it even better). Love the blog- added you to my blogroll. Thanks! Chinoiserie truly is timeless. It reminds me in a way of a "fortune cookie" - always makes one take note and smile. Such chic hand towels! Love the hand towels and the clock. Would love to see your chairs covered in Scalamandre's Ping. Pshaw! I would totally buy that Cecil Beaton book for the dust jacket too! those hand towels are beyond. Beyond. 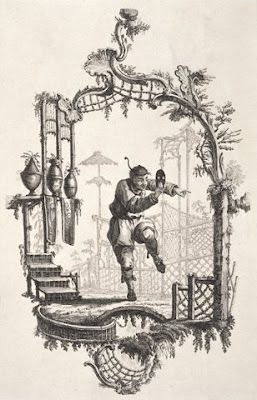 A great nod to chinoiserie! Just need Tony Duquette's garden pagodas. All very beautiful. If you're on a chinoiserie kick, check this out!